Features six layers of iridescent blue paint, gold-plated screws and 360 diamonds applied to the silver-plated body. 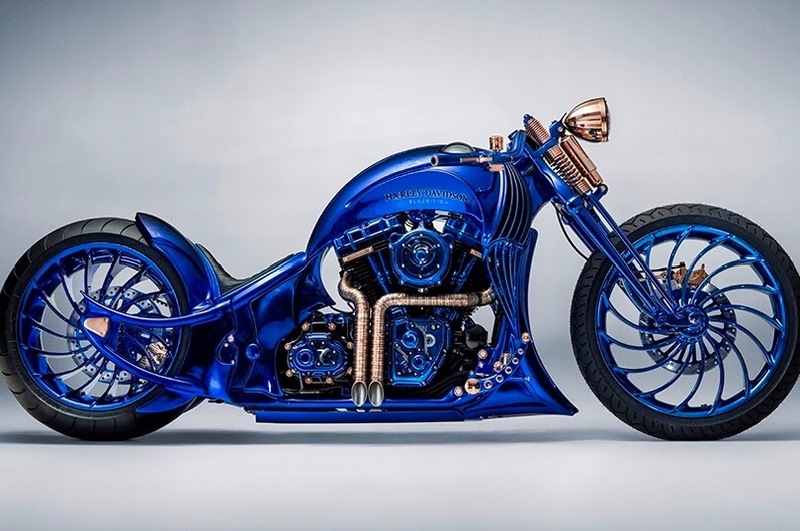 Handmade detailing covers the bike, which includes hand grips draped in Bucherer jewellery, and a 5.40-carat diamond tucked inside an armoured glass dome. Just be careful when you park it ! Chopper alway a nice sight. A tribute to the joy ride! A few more beast and lamb... I spotted today.